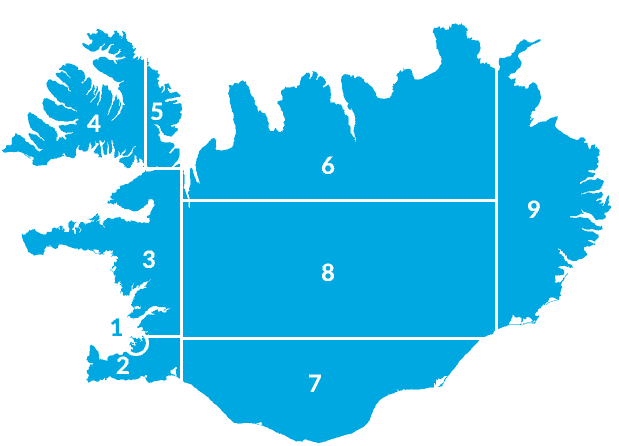 Visit the The Nine Wonders of Iceland We like to view Iceland as nine different regions to make your search for information easier. Simply click on the region you want to explore and read about towns, attractions, hiking, accommodation and more. Get On The Inside of Iceland with NAT.IS Read up and become an Insider on practical, interesting and funny facts about Iceland before you visit to Iceland. Bus Schedules South Iceland Book and plan your bus transport to the south of Iceland . Landmannalaugar Great variety of landscape. Mountains in almost every colour of the rainbow . Bus Schedules to the Highlands & Interior Book and plan your bus transport to the Landmannalaugar and Þórsmörk . Þórsmörk One of the brightest pearls of the country, surrounded by majestic mountains and glaciers . Plan your travel around Iceland. Bus Schedules in Iceland Tailor your ideal package and save. No Intermediaries No Booking Fee. Book now. Limited space available. . Car Rental in Iceland Select to build your ideal package with self-driving and save. No intermediaries. No Booking Fee. Ferries In Iceland Information on the ferries and diverse boat trips from different places in the country. Build your ideal package and save. Flightschedules Fly with scheduled flights to numerous towns and villages around Iceland, Greenland and Faroe Islands. Hiking in Iceland Come to the land that hikers love and start your planning here for your unforgettable visit. Camping in Iceland When travelling about in the country without previous bookings, these pages assist you in the planning of your destinations. Swimming in Iceland The naturally heated water, makes it a great place for an outdoor swimming all year around in endless swimming facilities. Facts and figuresREAD UP ON ALL THE BASICS AND GET TO KNOW ICELAND. Geography and natureALL YOU NEED TO KNOW ABOUT ICELANDIC NATURAL WONDERS. History and traditionsADD A LITTLE SOMETHING TO YOUR TRIP WITH HISTORICAL FACTS. 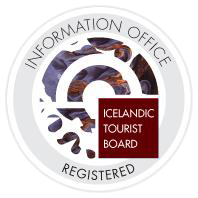 Practical InformationA MUST READ FOR ICELAND BOUND TRAVELERS.